London Graphic Design Blog Do You Need A Graphic Presence? Are you a new business trying to carve out a space in your sector? Or, an established business that is experiencing less online traffic? These are just two situations that mean you need to look at your graphic design. Your brand is essential to getting you noticed and putting across your image to your prospective customers. Graphic design London and beyond plays a crucial role in achieving this. 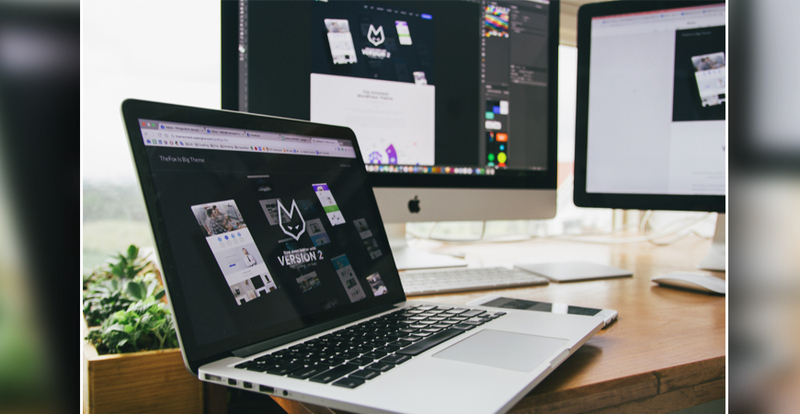 Knowing when you need the presence of a freelance graphic designer London based starts with understanding the importance of branding, and more importantly of getting your branding right. Your branding is what makes you stand out and be recognised immediately. It gives customers an insight into what you are like as a company; your values, mission, and the type of relationship you build with your customers. While your content plays a vital role in creating this image, so too do your graphics, particularly as they are generally the first thing the prospective customer sees. This makes aspects of your marketing such as your business logo, home page design, page headers, letterheads and where applicable packaging vitally important. All these fall under the realm of a graphic design London based expert. So, if you do not have a business logo, or your logo is not present and consistent across all your marketing and business materials, then you need an expert in logo design. Similarly, if your logo no longer represents your business, its ideals and its vision for the future, then a graphic designer can help. The same is true if you do not yet have a website, or your website is inconsistent, tired or no longer relevant. However, graphic designers, especially those who are experienced in web design North London and beyond, are not just for the big changes. They can also provide essential support when you are launching new products or services, designing a specific marketing campaign, or moving into new geographical areas. That being said, it remains essential that you hire the right graphic and responsive web design London based expert with the skills and experience you need. In general, graphic designers should create designs that persuade, entertain, inform, direct, organise and attract the attention of the audience. They should be able to combine technology, art, experience and creativity to communicate the intended message. But from all the available graphic designers that tick these boxes, you need to hire the graphic design service London wide that is right for your project. To do this, take time to look at the work they have previously undertaken. Consider whether you like their style, whether it communicates the right message about the brand it was completed for, and whether it stands out from similar brands in the same sector. You can talk to the owner of the brand and gauge their experience of working with the design, and how happy they are with the finished product. Also, ask about the designer’s professionalism, their ability to work to an agreed timetable, and their ability to work to budget. While cost should not be your determining factor when looking for graphic design London based experts, you do need to be aware of your budget, and the work that can be achieved for that budget. Discussing this openly and honestly with your designer at the beginning will help your professional relationship progress much more smoothly.